Your business has special needs and our genuine and untampered unleaded gasoline is here to help you address your requirements. We know that local regulations are designed to satisfy national requirements and we take professional measures to not only uphold them, but to take things to the next level. 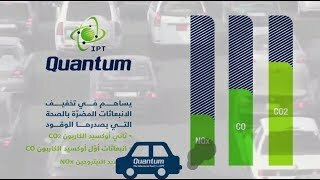 As part of IPT strategy to enhance the quality of its products and services in Lebanon, develop them further and keep up with the highest Lebanese and International standards, IPT launched a new advanced Gasoline product exclusive to IPT Stations: "Quantum". "Quantum" also offers exceptional deposit clean up, better combustion, less noise, and an improved driving experience. "Quantum" has the performance level of World Wide Fuel Charter's (WWFC) highest categories and has undergone a series of tests conducted by specialized European laboratories on different car brands. This initiative affirms IPT's commitment to its clients' satisfaction and its relentless effort to exceed their expectations. In line with this commitment, IPT signed in 2011 a supply agreement with Total Liban, by virtue of which the latter became IPT's exclusive supplier of Gasoline and Diesel, and IPT became the official distributor of Elf lubricants in Lebanon. This makes IPT Stations distinguished by their modern look, and new products and services. IPT remains the first to embed sustainability into the core of its strategy by putting its customers first, and taking initiatives that reduce emissions and fuel consumption. 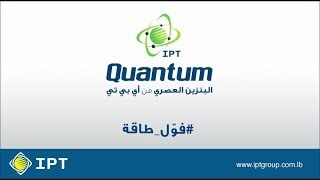 "Quantum" is exclusively available at IPT stations at no extra cost for both the station owner and the end-user. Watch TVC, and Click here to know more about the launching of Quantum.